Hey, at least he started off strong. Sylas, League of Legends’ newest champion as of Patch 9.2, was locked in on the pro stage today for the first time. He was in the hands of legendary European top laner Paul “sOAZ” Boyer on Misfits, but unfortunately, it didn’t go so well for the old boy. It actually started out alright, with Misfits taking a small lead early on as the laning slugfest began. None of that small lead went to sOAZ, though, so it wasn’t like he actually got anything out of it. When the big teamfights began, and Misfits weren’t backed up against a wall (or in this case, a dragon), the Sylas pick had no damage to his name, and Misfits got rolled. Schalke took a commanding lead back, and it more or less stayed the same for the rest of the game. Now, this doesn’t mean Sylas is going to be a bad pick on the pro stage. Although sOAZ wasn’t carrying or anything, this game wasn’t really his or his champion’s fault. It didn’t help that he couldn’t compete with a bully like Jayce, especially after ceding a good amount of lane control to him early, but it wasn’t the game-maker. The game-maker was Schalke just being really good at fighting, and Misfits being uncoordinated. So is there hope for Sylas on the big stage? Is this the start of a trend? It’s possible. 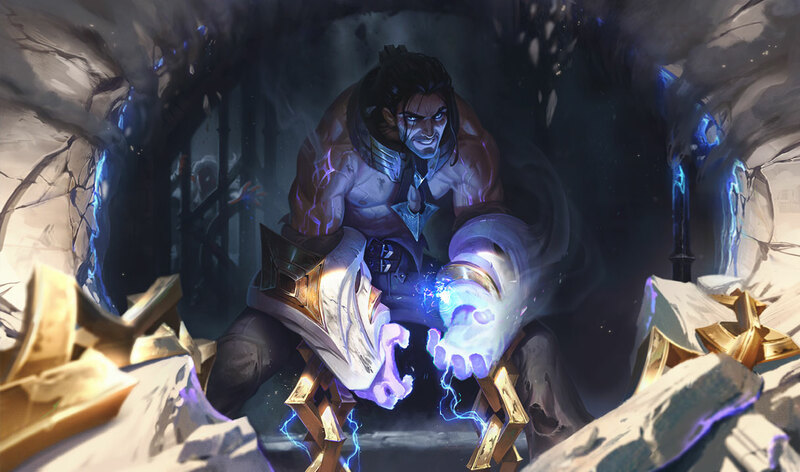 Sylas has been wildly underperforming since his release, even after a round of hotfix buffs, but pros may be able to use him a little more effectively than casual players, particularly around the use of his ultimate ability. For now, though, we don’t expect much. There may be a few more picks across the different competitive regions this weekend, but he shouldn’t rack up much priority.